Have you ever wondered just what factors into a house’s value? Along with amenities, size and condition, one of the elements agents use to determine a house’s value is “comps” – the value of comparable properties nearby. It’s not too often that you get the chance to view “comps” up close and personal, though. 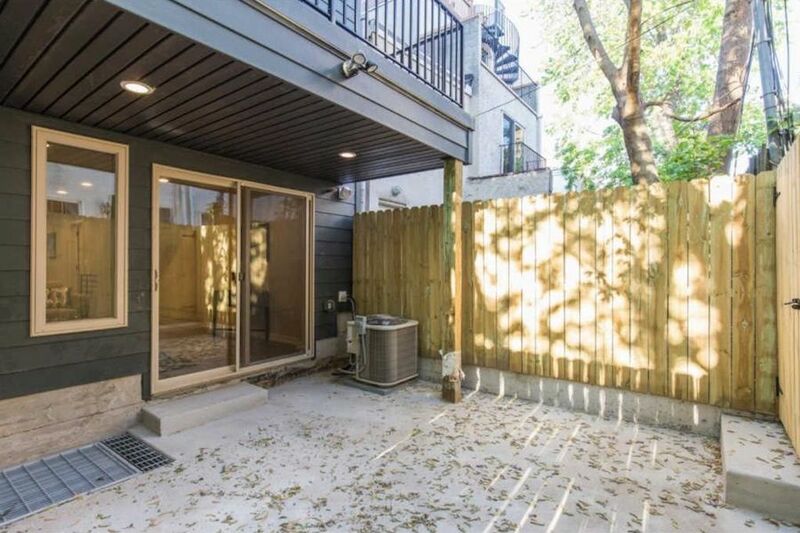 This brand-spanking-new two-unit townhouse in Graduate Hospital offers that chance. 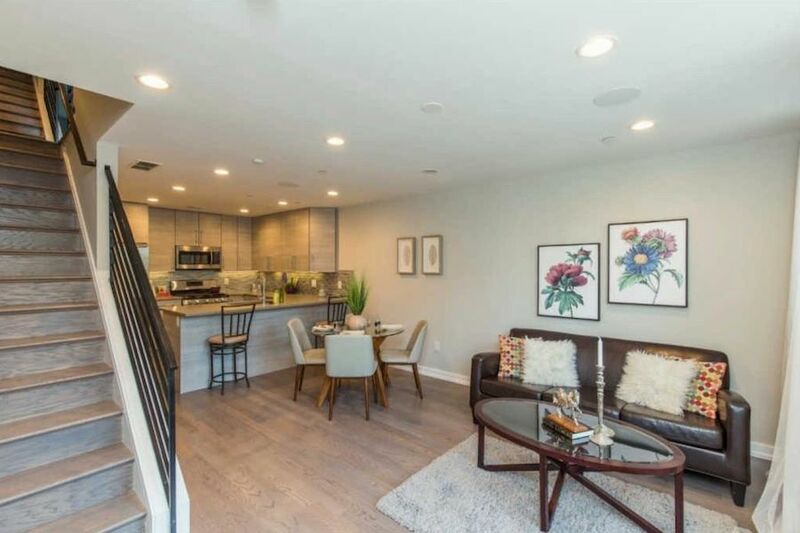 This four-story-plus-finished-basement structure contains two residences whose basics are identical: three bedrooms, three bathrooms, 1,750 square feet of interior space. Each unit gets two full floors plus half of a third. And as the photos should make clear, they have identical levels of fixtures, fittings, and finishes in their kitchens and bedrooms, with only color differentiating them. Yet one is priced $125,000 higher than the other. Let’s see if we can figure out why. The lower unit, Unit A, is the less expensive one. 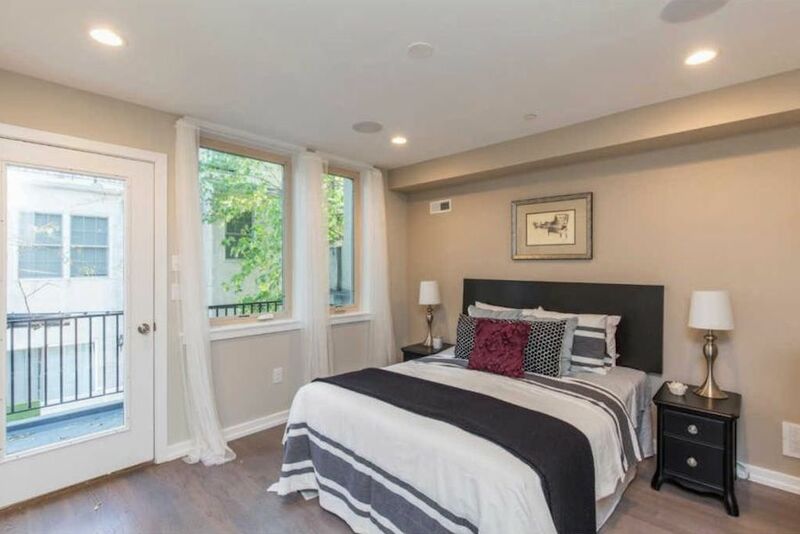 It has a full-floor first-floor main living-dining area that opens out onto a paved patio. Its kitchen is in the middle, separating the dining area in front from the living area in back. 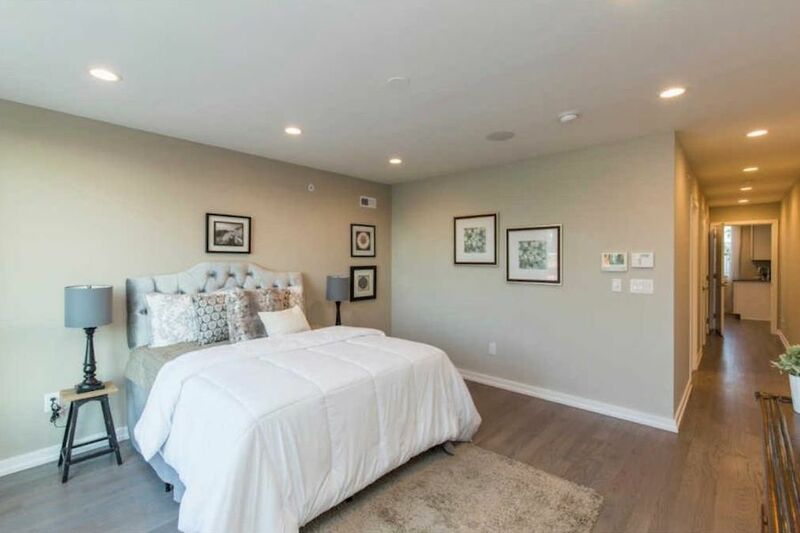 The master bedroom is on its half of the second floor, which is the back half. That bedroom has a private balcony over the patio below. The other two bedrooms are in the basement. Each has an en-suite bathroom. The pricier unit on top has its main living-dining area in the front half of the second floor. Its kitchen is at the back of the space, and there’s less space for the living room furniture and dining table because it takes up only half the floor. 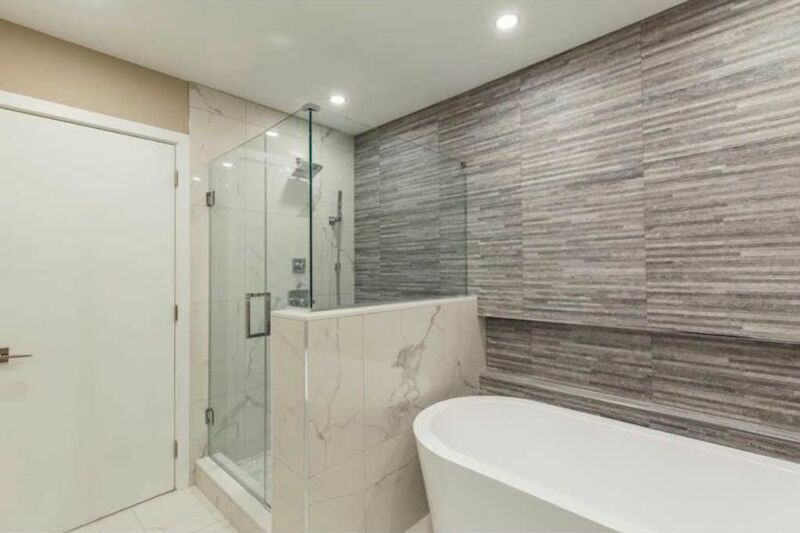 The builder made up for this in a sense by putting an open sitting room with a wet bar on the top floor, just outside the full-floor master suite. 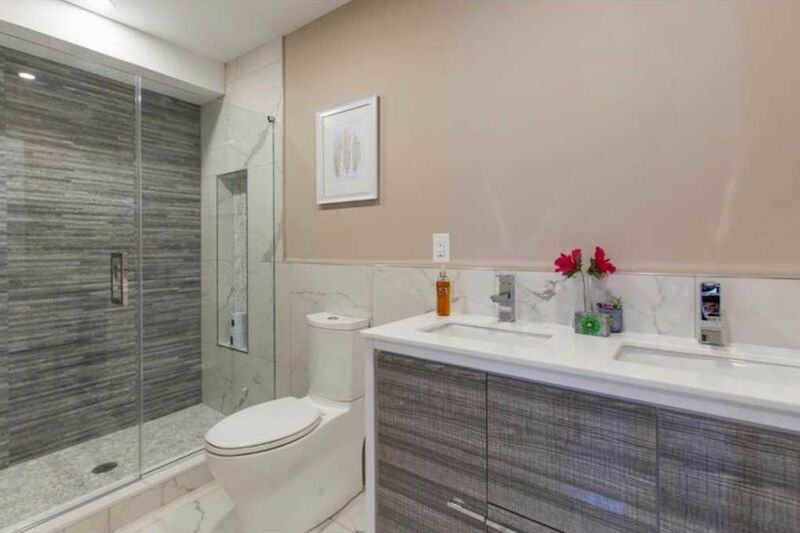 The in-between third floor contains this unit’s other two bedrooms, again with en-suite bathrooms. 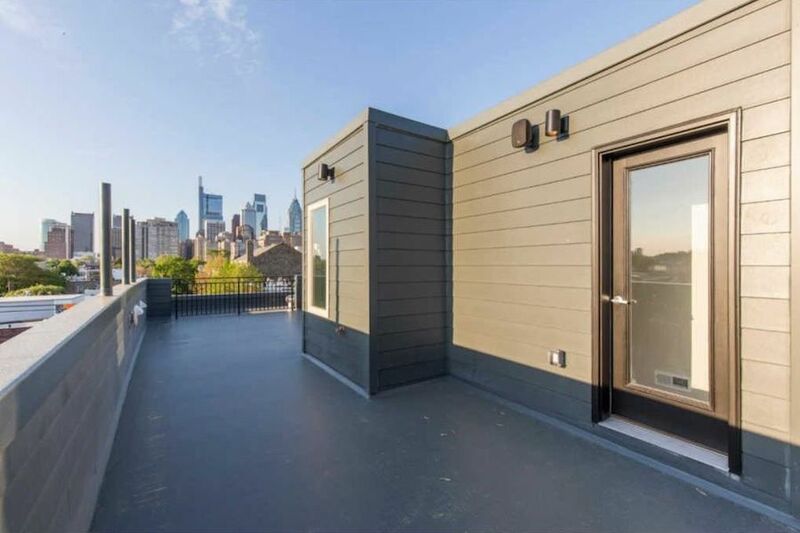 Above all this is the unit’s outdoor space, a full-floor roof deck with a great view of the Center City skyline. 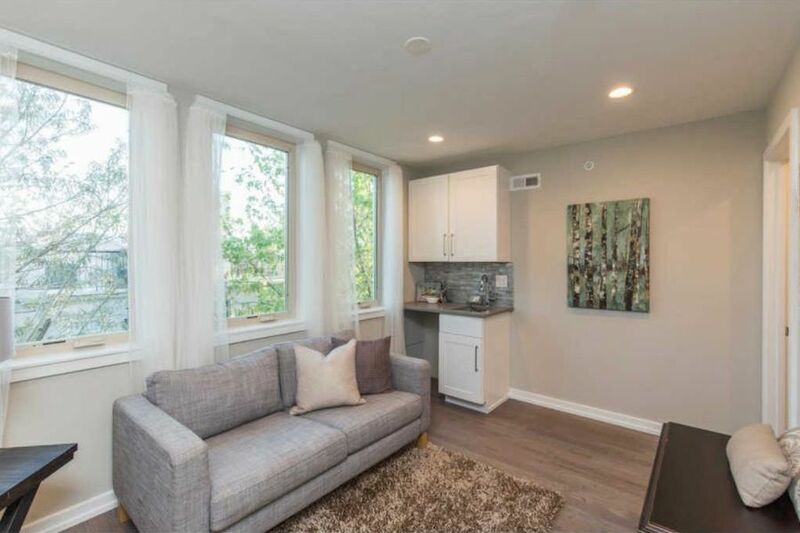 So let’s recap: The lower unit has a bigger main living area but smaller outdoor space, and two of its bedrooms are in its basement. 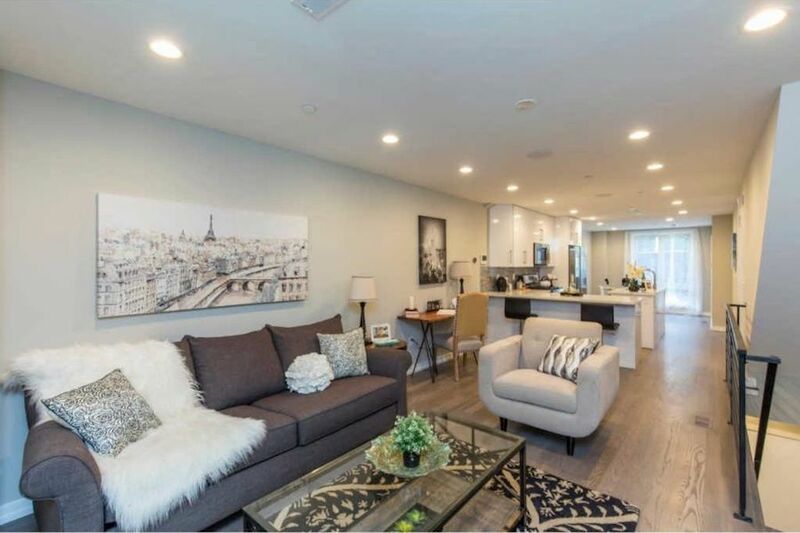 The upper unit has a smaller main living area but more outdoor space in the form of a roof deck, and all of its bedrooms receive direct sunlight. 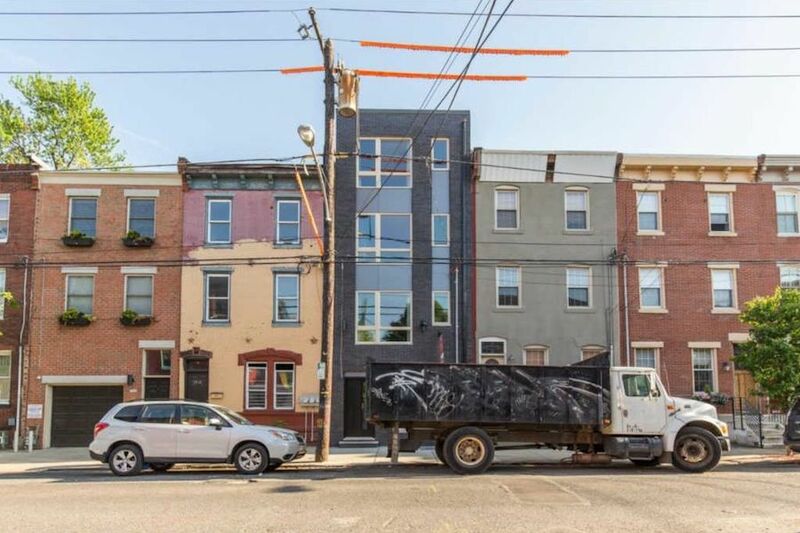 Apparently, the builder or the broker figure that sunlight, a sitting area, a soaking tub in the master bath and a roof deck are worth $125,000 more than basement bedrooms, a larger main floor, no tub and less outdoor space. Do you agree?